Oh my goodness! It’s almost time for our 2nd Orphan Spirit LIVE Webcast! I am in awe of the number of people who have taken the time to listen to the webcast on danitaogandaga.com! The power of God is amazing and is breaking the strongholds of people in and out of the church all over the world. This is the season for the Elijah annointing of God to come and father his people back into relationship with Him! That’s good news! Our 2nd Orphan Spirit Webcast will be totally awesome! We’re going to be talking about Securities and Sonship. In simple language, how do we deal with the myriad of issues that we’ve faced in life and the setbacks we’ve encountered due to not knowing that God loves us. Broken perspectives can harm the path of our life. God has a plan for the broken man and woman. Join us tomorrow, (Thursday) night at 9pm EST. Lifetree Café is a highly effective ministry experience that churches offer in their communities to reach people who may not be inclined to walk into a traditional church setting. Lifetree Café is making an indellible mark on the United States by meeting people where they are and sharing the love of God. • What is the best advice you have ever received in life? The best advice I’ve ever received came from my dad. My father happens to be well-known and highly collected wildlife artist. He once told me that life and art should both be painted in broad strokes. He also encouraged me to paint because you love to paint. And if a painting happened to come out of it…then that’s simply icing on the cake. • What is your hidden talent? I inherited a passion for art from my dad. I work in oils, watercolors, charcoal, pastels, you name it! • What is your best way to start the day? I LOVE watching the sun come up so I start my day very early so as not to miss it. • What was the best day of your life? With regards to ministry, I can’t single it down to one single day. I have to say that the stories, which come in every day from Lifetree Cafés all around the country are the highlight of my ministry. • Why is the world filled with orphaned hearted people who resent authority, trusting others, & developing intimacy w/God, themselves, and others? I think it’s because most people have been hurt by other people and the concept of an unconditionally loving, grace-filled, forgiveness-filled heavenly father is completely unfathomable. I think as believers we have a responsibility to demonstrate God’s unyielding love to the best of our abilities. • How can a person begin to receive God’s love? What was your experience like?They have to see it demonstrated and experience what love feels like without judgment or strings being attached. I experienced that myself as a young man and it eventually became the model that I now want to demonstrate to others. 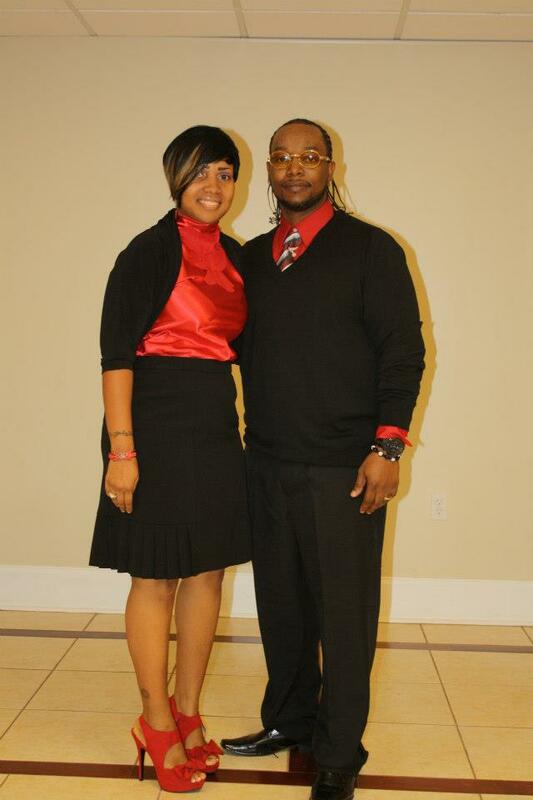 Three statements describe this couple…….Been there, done that…Just Jesus! I’ve never met a couple more transparent about their journey to Christ as Octavia and Derrick! They have a genuine heart for God and His people and seek to assist people who are seeking truth and understanding of God’s word! Owners of their highly successful online and mail order accessories company, It’s Taysteful, the business seeks to utilize jewerly and other accessories as a tool to instill self-esteem and most importantly, God esteem into the lives of women all over the world! Get ready to be blessed by their tag team ministry gift! For more information on their ministry, Open Wings, connect with them here. • What is your hidden talent? We are both multi talented, My Husband calls me a jack of all trades. • What is your best way to start the day? With Prayer, it gives you the ability to set the atmosphere of your day. While Honoring God with the first fruit of your day. • What was the best day of your life?The Day I remarried my best friend, it was out with the Old and in with the New for me. • Why is the world filled with orphaned hearted people who resent authority, trusting others, & developing intimacy w/God, themselves, and others? Most people have been abandoned or mistreated by people in authority most of their lives and that makes it harder to trust, it especially makes it difficult in ministry, if you feel abandoned by Church Folk. • How can a person begin to receive God’s love? What was your experience like? Once you receive a revelation on the Love of God, and start spending intimate time with Him, the day that you hear him say son or daughter I love you. That’s when it hits you. To hear it preached is one thing, but to hear it for yourself is another. Hearing the Lord say it to you boost your confidence and faith in Him. There you go, three dynamic speakers who are living their BEST days with knowledge of the love of God! You can too! We hope you’ll tune in tomorrow at 9pm EST on danitaogandaga.com!